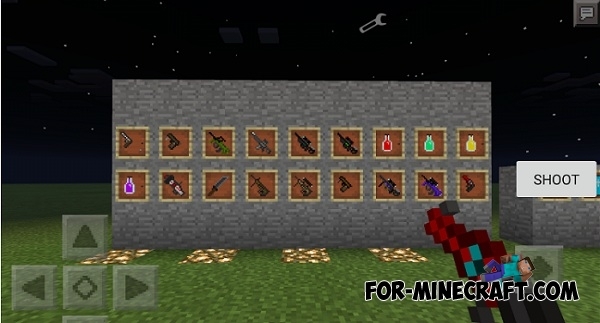 GunCraft mod Zombie Edition is a cool modification that adds a lot of guns, with which you will be able to fight with the zombies in the world of Minecraft Pocket Edition! You will have quite a lot of advantages, we now describe all the features and effects. You can install the map for mod (located in the archive). -/status this command is only used while in creative to show your kills an points.